Big Wheel Keep on Turning, photo by Harold Davis. View this image larger. 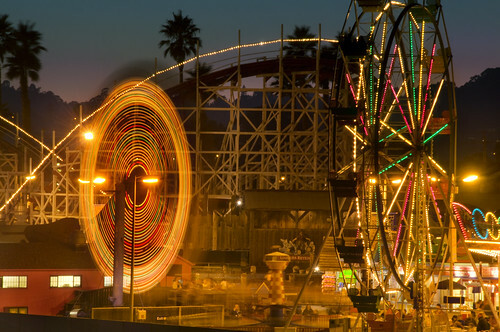 This photo shows two of the ferris wheels on the Santa Cruz boardwalk. One wheel is still and the other is in motion. The night before my tripod and I had been kicked out of the area (here’s the story), so I took this photo from a bluff across the San Lorenzo River from the amusement park. 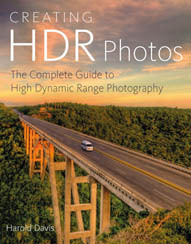 Proving once again that an important part of photography is geographic resourcefulness. Time, they say, cures all evils, and so it may. 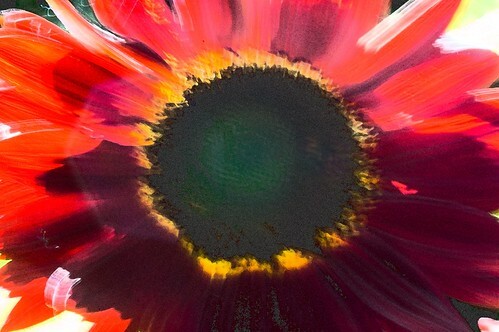 Whether or no, time in a photographic exposure certainly transforms motion. 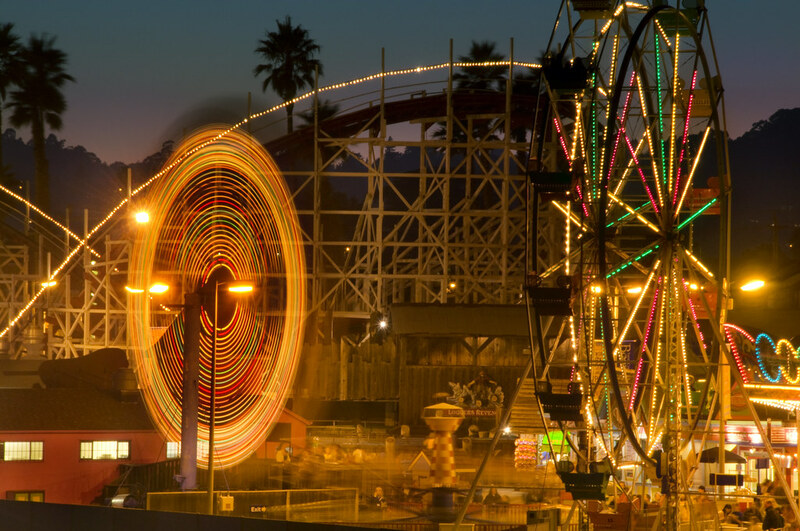 The transformation of the ferris wheel in motion into concentric circles of light is what appeals to me about this image. Leap of Faith, photo by Harold Davis. View this image larger. Briefly noted: Katie Rose can’t dance (yet). But she sure does wiggle and squirm. So I shot these five captures in quick succession and then combined them as a composite in Photoshop to create the illusion of dancing, or leaping, into her future. Katie Rose in a Pink Dress, photo by Harold Davis. 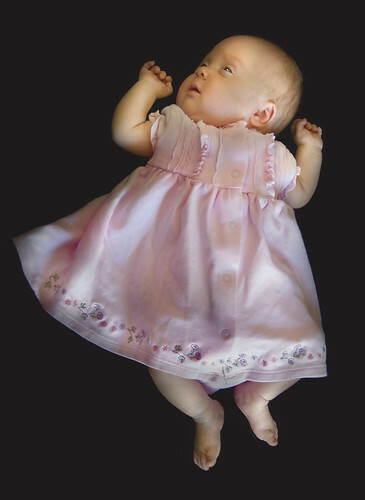 The pink dress was a gift for Katie Rose from her great aunt Adelaide. Phyllis wanted a photo of Katie Rose wearing the dress to send to Adelaide. When I photograph kids, I sometimes like to ask them to jump for me. I couldn’t very well ask Katie Rose to jump, as she can’t walk or even crawl yet. 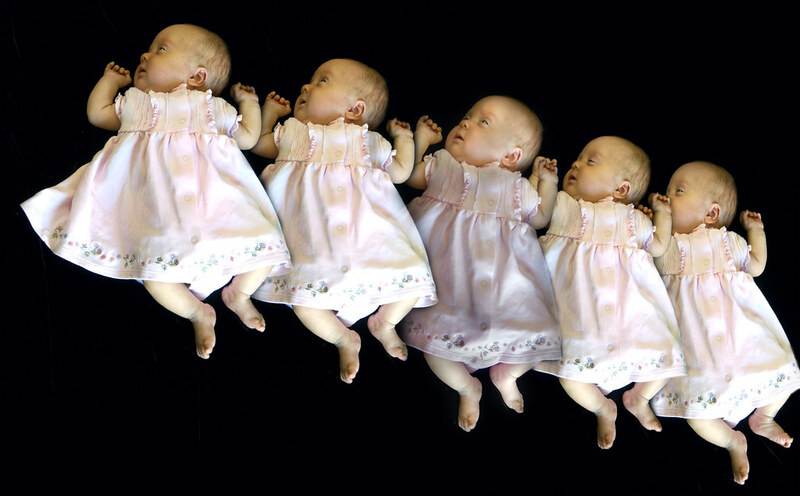 So I photographed her lying on a black velvet background to create a virtual jump. On another note, today is Katie Rose’s theoretical due date, even though she was actually born in early May. Welcome to the world, Katie Rose: you are our miracle. How Wide the Star-Filled Sky, photo by Harold Davis. View this image larger. I took my older boys down to Santa Cruz for a couple of days of beach and boardwalk amusement park rides before school began. As night began to fall on the boardwalk, I got out my tripod and started work on time exposures of the rides and lights (some pix to follow). After a while, a security guard came up to me and told me that tripods were verboten, and if I continued he would have to confiscate my camera. Rather than the normal smart aleck reponse I would normally have made (e.g., “over my dead body”), I remembered I was with young kids and taking photos for fun. So I packed up my gear, and after a few more rides we headed out to the end of the Santa Cruz wharf. 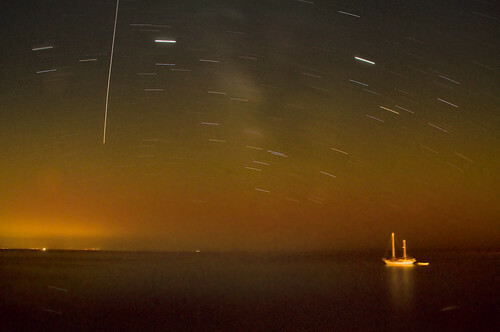 The kids ran amok chasing seagulls and listening to the roar of sea lions while I snapped this roughly twelve minute exposure out into the inky blackness of the infinite sea and sky. Of related interest: Surf and Stars. 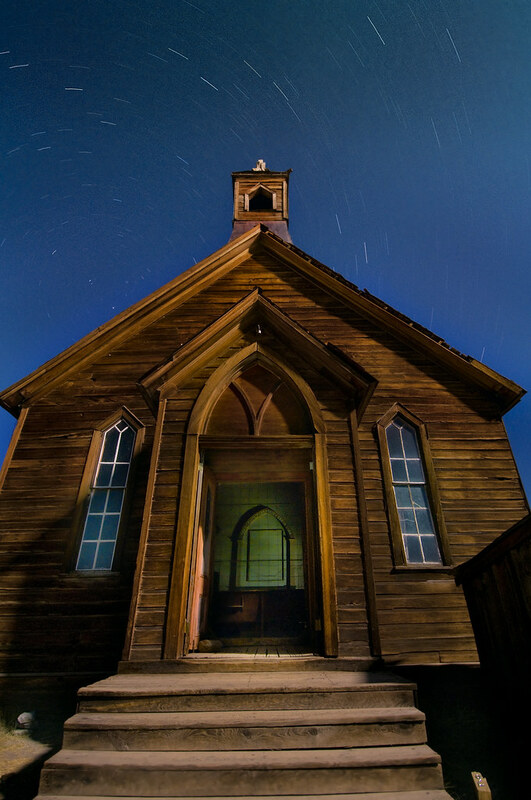 Old Bodie Church, photo by Harold Davis. View this image larger. 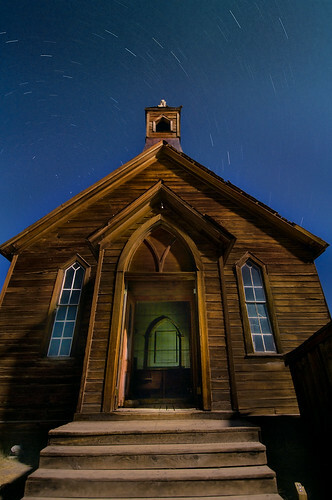 The south face of this old church in Bodie was primarily lit by moonlight. As I’ve noted, you get the most circular star trails when the camera is pointed north, so I was glad to see the Big Dipper pointing at Polaris over the wooden steeple. During this approximately eighteen minute exposure, I “painted” the interior of the church using a small flashlight. To do this I walked round and round the building, careful never to stop the light in one place, pointing my light at the side and rear windows. 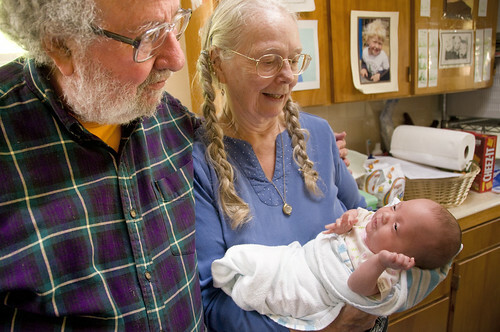 Holding Katie Rose, photo by Harold Davis. Since Katie Rose has come home from the NICU we hold her alot. We remember how tiny she was, and what a miracle she is. Mostly we just take care of her and enjoy having her home. 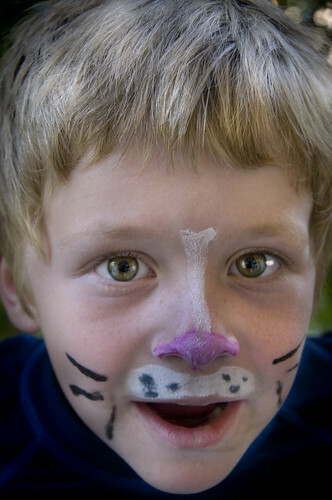 Nicky with Face Painting, photo by Harold Davis. Nicky came home from camp at Berkeley Montessori with this cute face painting of a mouse, and I couldn’t resist photographing his tribal markings for posterity. 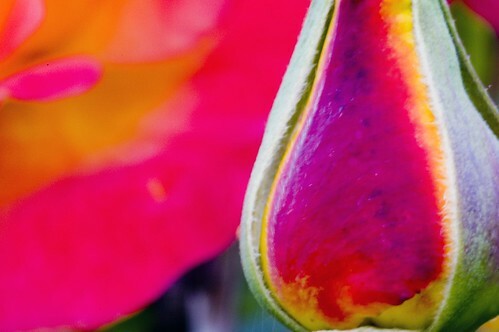 To make the colors appear more saturated, and to visually separate Nicky’s head from the background of the photo, I intentionally “under exposed” this capture. 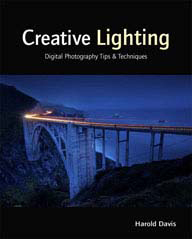 When I processed the image in Photoshop, I started with a “normal” (dark) rendering, then layered successively lighter versions on top. This allowed me to keep parts of the photo dark (the background and Nicky’s shirt), other parts saturated (the face painting) while controlling which areas got brighter (Nicky’s eyes and hair). Standard Mill at Bodie, photo by Harold Davis. View this image larger. The Standard Mill at Bodie (shown here reflected in an old window) was used to process the gold and silver ore from the mines. The rather harsh side lighting on a seasonal water slough and the mill itself is from the full moon. Window, Bodie, photo by Harold Davis. View this image larger. 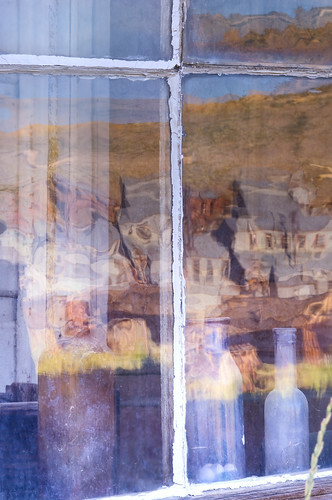 This is a photograph of reflections (mostly of the old Standard Mill) in a window of the Bodie ghost town. My intent was to render a painterly, and almost abstract, image—grounded with the concrete frame of the window. I was in Bodie with the rare privilege of photographing at night, thanks to the graciousness of Lance Keimig and his Finding Your Way in the Dark workshop. 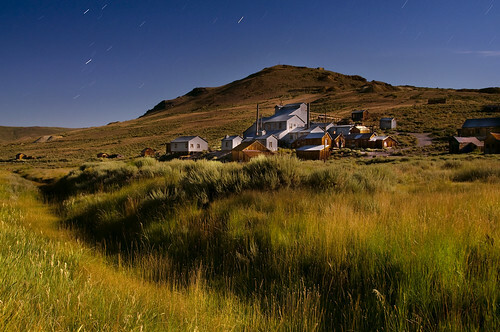 Night or day, there’s plenty to photograph in Bodie. 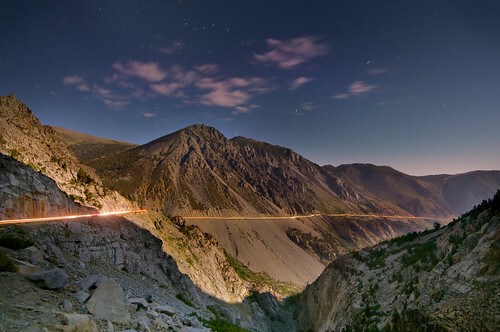 Tioga Pass Road at Night, photo by Harold Davis. View this image larger. Tioga Pass is the highest car crossing of the High Sierra. I always find the view down towards Owens Valley, Mono Lake, and the high desert awe inspiring. For this photo, I stopped at one of the first overlooks. The moon was brightly lighting the far side of the canyon, but where I stood the defile was in deep shadow. Lembert Dome Sunset, photo by Harold Davis. View this image larger. Briefly noted: As it got darker, I continued to photograph sunset from Lembert Dome. I think the top of the dome adds to the composition in this version. 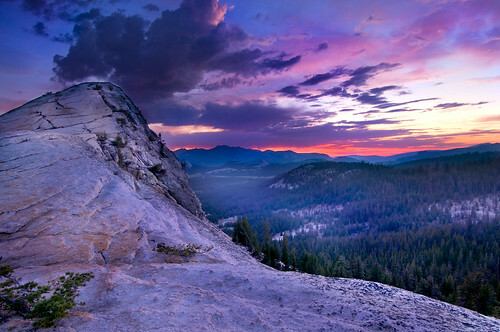 Tuolumne Sunset, photo by Harold Davis. View this image larger. Briefly noted: this is a sunset view from the top of Lembert Dome over Tuolumne Meadows towards the Grand Canyon of the Tuolomne. Bathing Katie Rose, photo by Harold Davis. 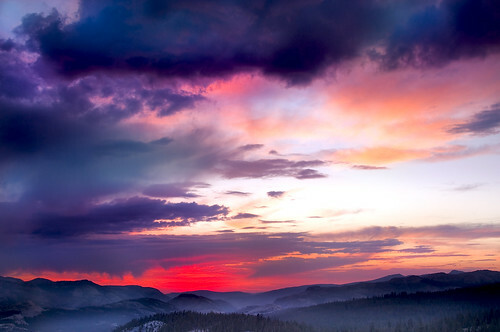 Sierra View, photo by Harold Davis. View this image larger. 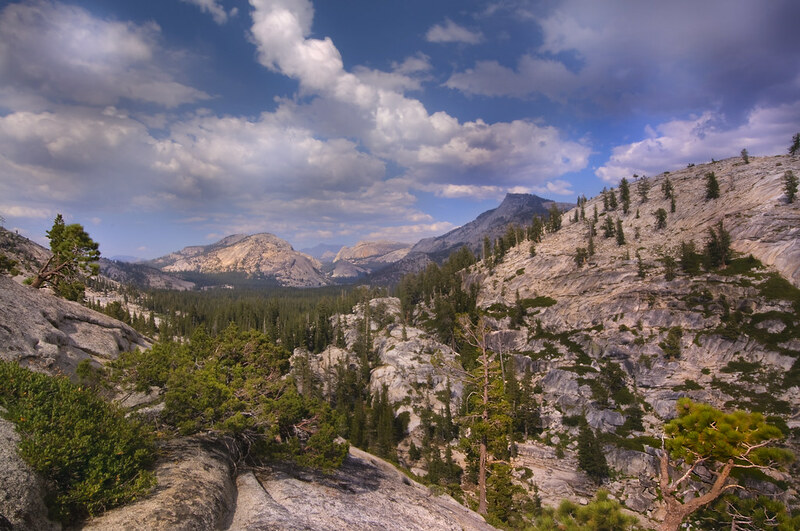 On my way across the Tioga Pass road I stopped at Olmstead Point. I made my way out a few hundred yards, and distanced myself from the road, parking lot, and people. Then I laid my head on a rock pillow and watched the clouds hurry past. After a while, I got up refreshed and pulled out my camera and tripod. Facing Lake Tenaya, Polly Dome, and Pywjack Dome in the distance, I created this image consisting of five separate captures. 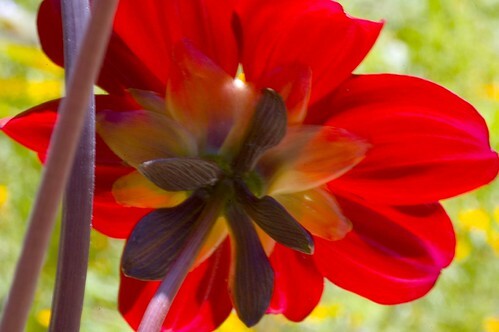 Fresco Flower, photo by Harold Davis. I thought this photo looked like a painting when I took it, and I did my best to accentuate the effect in post-production processing. 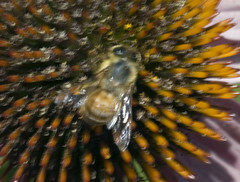 First I applied Photoshop’s Fresco filter, then the Film Grain filter. 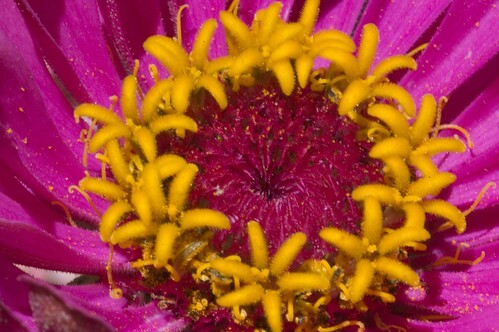 After I cleaned the image up, I cloned some of the detail in the heart of the flower back in from the orignal image (proving, which I didn’t know before I tried, that you can use the Clone Tool between images, not just intra-image).